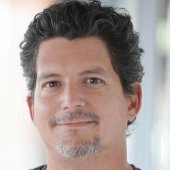 As Bing is continuing to be hard at work to better distinguish its SERPs for its Internet users, but it also is beefing up its back end to make the site more desirable for marketers. Bing announced a few weeks ago that its SEO Reports and SEO Analyzer would be available to tell search marketing campaigns about firms that are counting on Bing website traffic. SEO reports allow webmasters and marketers to better assess how their domains perform, according to best practices that Bing defines. This new feature currently is running every other week, and is providing highly detailed assessments the campaigns. This is based upon enough data so that there is not too much emphasis on the day to day performance of pages. The new SEO Analyzer by Bing will show Web marketers how they can target the tech side of their site to boost compliance with the best practices of the company. Marketers are able to access Bing’s SEO Reports for several domains so that they can understand which SEO elements most drive success on their particular websites. 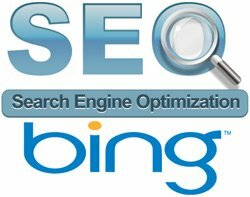 The SEO analysis tool allows site owners to see if their web pages are not living up to Bing’s best practices of SEO. Some of the most common issues that the analyzer can find include metatags that are incomplete for images, or bad code that can damage your place in the search engines. Regarding web content that is related to search engine optimization, marketers need to establish best practices of their own and make sure there is compliance to their own actual standards. As far as suggestions for content related to SEO, marketers will have to establish their own best practices and ensure compliance to their own standards. However, the availability of a tool to detect technical issues automatically can help webmasters save time assessing other elements of search optimization campaigns. Bing is continuing to try to make its web services a higher value to consumers, but it has a long way to go to get at Google’s market share. In May, Bing’s market share stagnated at 15.4%, while Google’s great a bit to 66.7%.